If you need someone to explain to you what LOL means, where have you been for the past twenty-five-plus years, and how is your first time using the internet going? Here is a brief overview just in case: If you can laugh, you can LOL. At its core, LOL is an expression of e-laughter (think "ha ha," "ho ho," or "he he"), as well as an acronym most would say stands for "laugh out loud." Since it was first coined over twenty-five years ago, it has continued to evolve, much like any other commonly used word or expression. You'd have to ask a teenager to understand the most current usages, but it will suffice to say that LOL is used both literally and figuratively (antonyms which at least one dictionary has declared synonyms, LOL!!! ), and there is no sign of its popularity declining. It's pretty easy to type L-O-L and send it to your friend, but the emotional weight of a text message is limited. 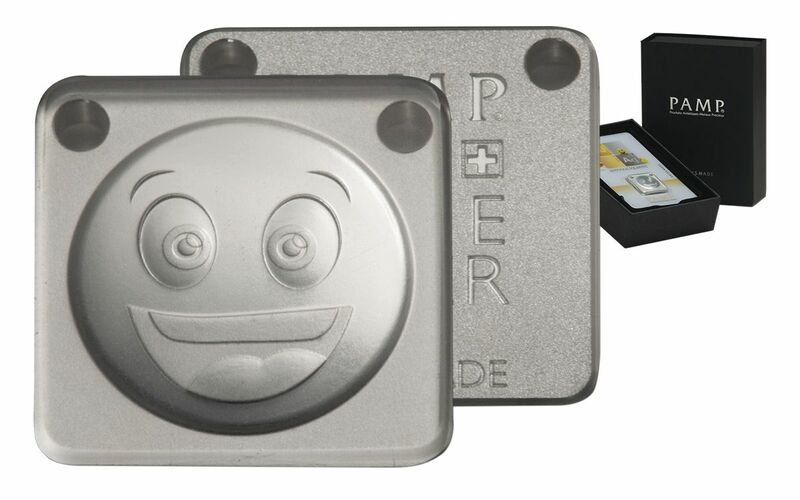 What if you could literally send a 10-gram, 99.9% pure silver LOL to that same friend and see them wearing it around their neck IRL (that's "in real life" for you newbies)? 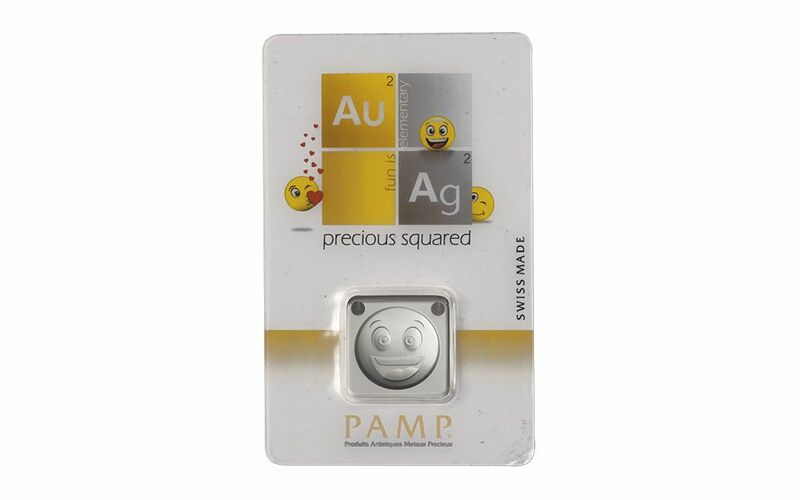 This PAMP 10-Gram Silver Emoji LOL Ingot Pendant is just what you're looking for. PART OF THE EMO-JOY SERIES-- This Emoji LOL Ingot Pendant is part of the second wave of the Emo-Joy series, which uses the emoji icons that are so popular throughout social media and on smartphones to make each pendant design the perfect gift or jewelry option to express one's own pop-culture chic. 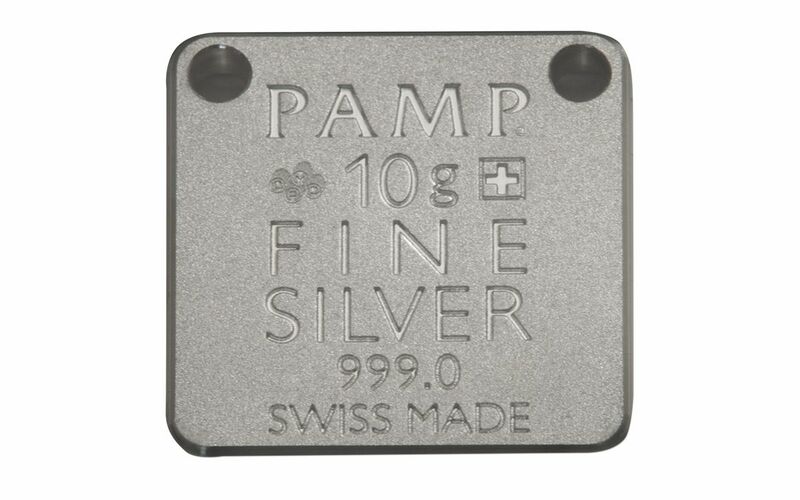 The obverse features an "LOL" emoji, while the reverse features the inscriptions "PAMP," "10g +," "FINE SILVER," "999.0," and "SWISS MADE." There are even two holes at the top corners to add a chain or tasteful cord and make a stylish necklace. 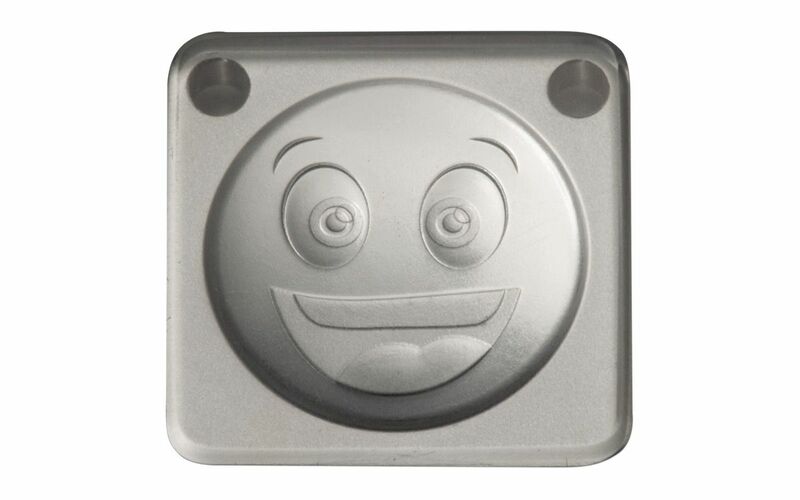 POP CULTURE THAT POPS-- Each Emoji LOL Ingot Pendant is carefully minted from 10 grams of 99.9% pure silver with a playful contrast of both frosted and polished finishes, producing an almost three-dimensional effect evocative of the emotional energy of the series' charming icons. 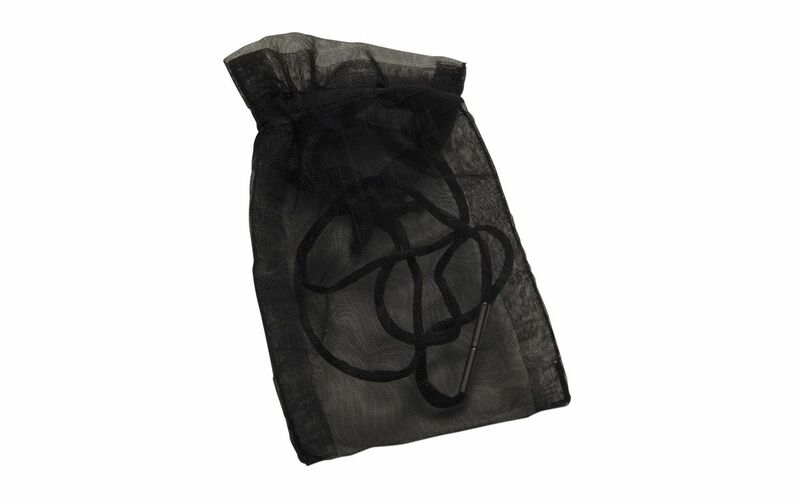 LOL-WORTHY PRESENTATION-- Each pendant comes secured within CertiPAMP™ packaging, complete with a unique serial number, the assayer's signature, confirmations of the weight and the fineness of the silver used, a black drawstring bag, and a black silken cord. 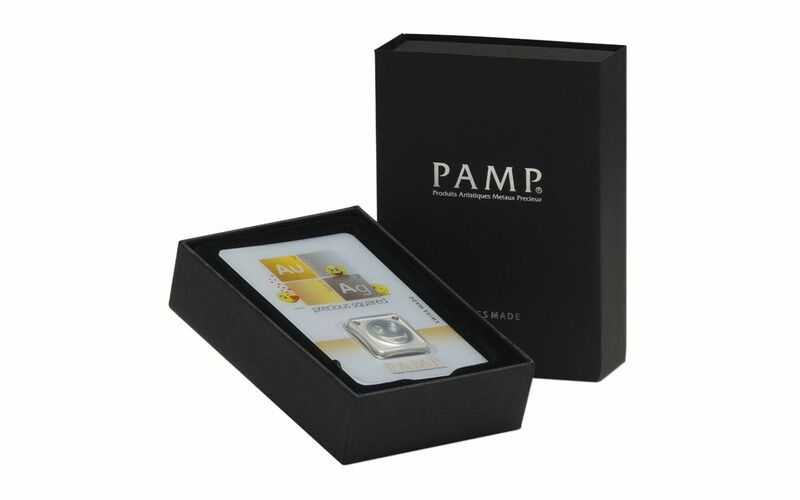 A SWISS MINT LEADER -- Established in 1977 and based in Ticino, Switzerland, PAMP, or Produits Artistiques de Métaux Précieux [Artistic Precious Metal Products], are one of the most trusted refiners and fabricators of precious metals and are the world's leading bullion brand. They operate a state-of-the-art precious metals refinery and fabrication facility and offer a broad array of services and expertise. We could keep talking up this pendant, but we just can't even! You could order it because it means something or because it can mean so many different things. Either way, you can order it right here on GovMint.com!